3 days (2 nights) safari in Murchison Falls park features a morning game drive, boat cruise to bottom of falls, visito the falls top and a an en-route visit to the Zziwa Rhino sanctuary. Our guide will pick you up as early as 6am and drive you Murchison falls located in the north borderding districts of Nwoya, Gulu and Masindi., the road trip lasts about 6 to 7hrs with an en-route stop over at the Zziwa rhino sanctuary , the only place you will get chance to see the white rhinos. After rhino tracking, you will proceed to the park with a stop over in Masindi town and lunch and refreshments. 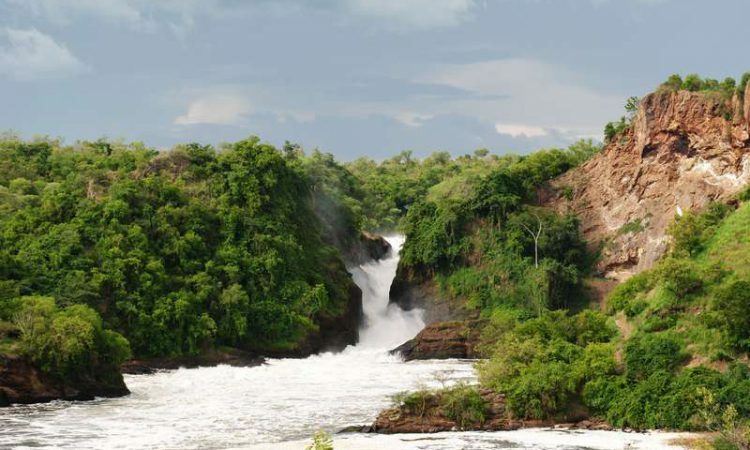 Continue your journey to the park driving directly to the top of Murchison falls, feel the power of rumbling falls hitting a rocks and enjoy the spectacular views of the park as you take pictures and relax after a long journey. Proceed to the lodge/ camp for dinner and overnight stay. Enjoy an early morning breakfast and prepare for transfer to the northern sector for a 3 hours game drive experience. Expect to see large herds of giraffes, buffaloes, elephants, various antelope species, warthogs, hippos, bushbucks plus a variety of bird species amopng others and on a lucky day will spot lions and leopards. Drive back to lodge for lunch and relaxation before being driven to the nile for a 2 hour boat cruise. You will encounter a variety of water and land animals + birds including hippos, nile crocodiles, elephants, buffaloes as they rest on the banks plus notable birds like African fish eagle, Commorants, Geese, Pelicans, Egrets to mention but a few. Once you reach close to the bottom of the falls, tourists that paid for hiking will board off and begin their climbing trip to the top of the falls as the others make a return trip to the shores. Hiking lasts about 40 to 50 minutes and you will meet the guide at the top. Dinner and overnight stay at lodge/camp. Wake-up to breakfast, check out of the lodge and prepare for transfer back to Kampala/ Airport ending the safari.